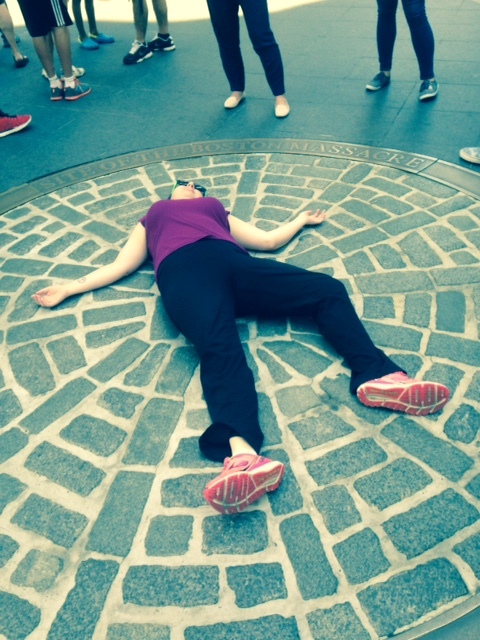 Jenna’s English in the City class visited the site of the Boston Massacre this week! 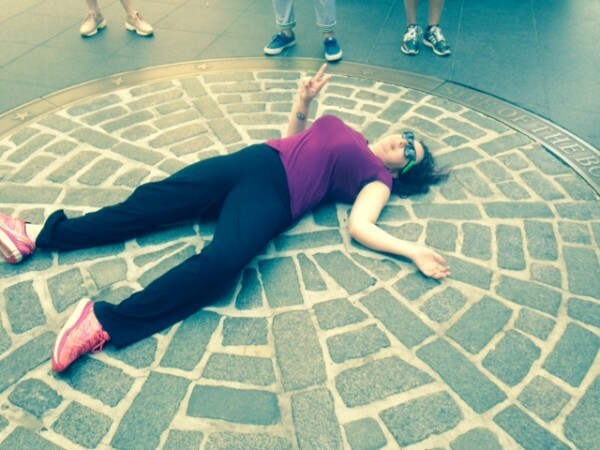 There, teacher Jenna laid down at the site and the students took photos and role played as the different historical figures who were involved and live-tweeted about the Massacre. When I passed through the State House I saw a boy who shouted “I’m dying” and he was bleeing on his head. People were gathering. “Damn you, fire!” Don’t let the British steal your honor. Gather around and fight for your rights! Finally, Governor Thomas Hutchinson #boss came here. He got everyone to leave. He asked me to talk with him about what happened. Find out about learning English in Boston.